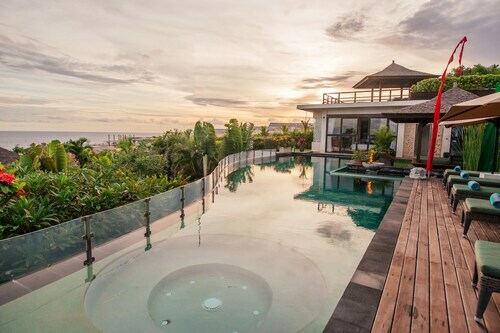 This family-friendly Kutuh villa is located near the beach, within 3 mi (5 km) of Pandawa Beach and Green Bowl Beach. Melasti Beach and Geger Beach are also within 6 mi (10 km). 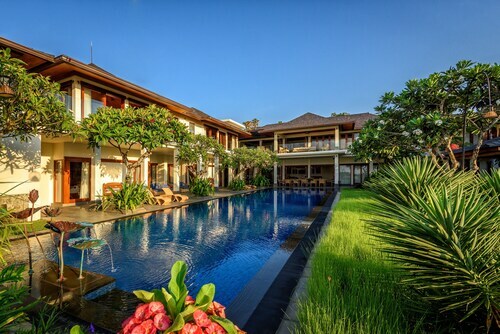 Situated in Kutuh, this luxury villa is 1.7 mi (2.7 km) from Pandawa Beach and 2.4 mi (3.9 km) from Green Bowl Beach. Melasti Beach and Geger Beach are also within 6 mi (10 km). This family-friendly Kutuh villa is located near the beach, within 3 mi (5 km) of Pandawa Beach and Green Bowl Beach. Geger Beach and Melasti Beach are also within 6 mi (10 km). 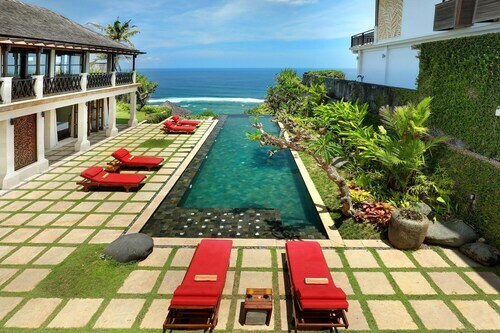 Situated in Kutuh, this villa is 1.6 mi (2.6 km) from Pandawa Beach and 2.8 mi (4.5 km) from Green Bowl Beach. Geger Beach and Melasti Beach are also within 6 mi (10 km). 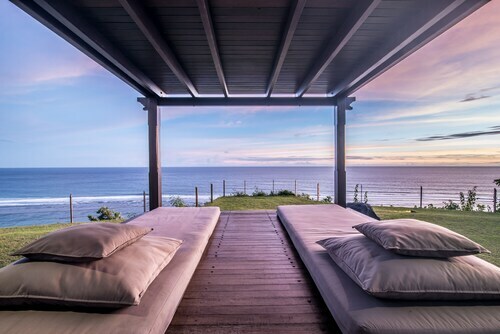 Situated by the ocean, this villa is 0.2 mi (0.4 km) from Pandawa Beach and 2.2 mi (3.5 km) from Green Bowl Beach. Melasti Beach and Geger Beach are also within 6 mi (10 km). 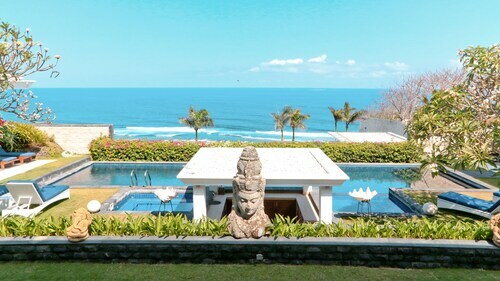 Situated near the beach, this villa is 0.3 mi (0.4 km) from Pandawa Beach and 2.4 mi (3.9 km) from Green Bowl Beach. Melasti Beach and Geger Beach are also within 6 mi (10 km). 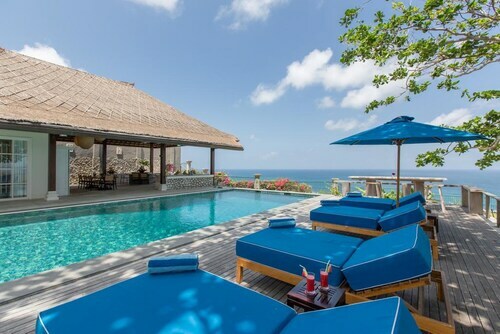 Nestled on the beach, this Kutuh villa is 0.2 mi (0.3 km) from Pandawa Beach and 2.3 mi (3.7 km) from Green Bowl Beach. Melasti Beach and Geger Beach are also within 6 mi (10 km). This family-friendly Kutuh resort is located by the ocean, 1.2 mi (1.9 km) from Pandawa Beach, and within 9 mi (15 km) of Garuda Wisnu Kencana Cultural Park and Nusa Dua Beach. Dreamland Beach and Moon Cot Sari Turtle Farm are also within 9 mi (15 km). 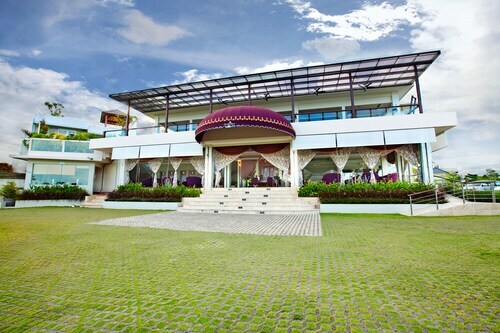 Situated in Kutuh, this hotel is 0.9 mi (1.5 km) from Pandawa Beach and within 6 mi (10 km) of Melasti Beach and Garuda Wisnu Kencana Cultural Park. Nusa Dua Beach and Jimbaran Beach are also within 6 mi (10 km). Situated near the beach, this guesthouse is 1 mi (1.6 km) from Pandawa Beach and 3.1 mi (4.9 km) from Melasti Beach. Green Bowl Beach is 1.6 mi (2.6 km) away. Situated in Kutuh, this bed & breakfast is within 3 mi (5 km) of Green Bowl Beach, Pandawa Beach, and Garuda Wisnu Kencana Cultural Park. Jimbaran Beach and Melasti Beach are also within 6 mi (10 km). Many people stop by Pandawa Beach every year. It definitely won't be the only thing you'll want to see in Ungasan. 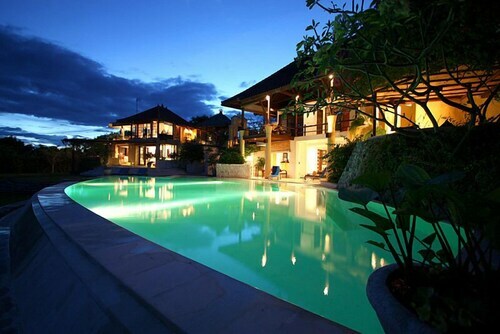 There's no need to go too far to find somewhere to stay. There are 20 options within 3 kilometres of Pandawa Beach. Have a look at the Banyan Tree Ungasan (3 kilometres). 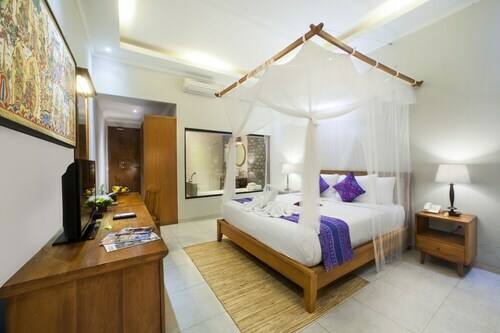 That said, the Samabe Bali Suites & Villas (3 kilometres) and the Ocean Blue Hotel Bali (3 kilometres) are also worthy. Save some money and stay at the Pandawa Beach Home Stay, a kilometre away. If you're wanting to spend a little, book a room at one of the upscale hotels nearby. 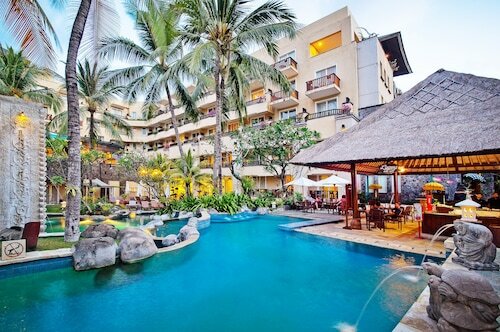 Take a look at the Nusa Dua Retreat, a kilometre away. 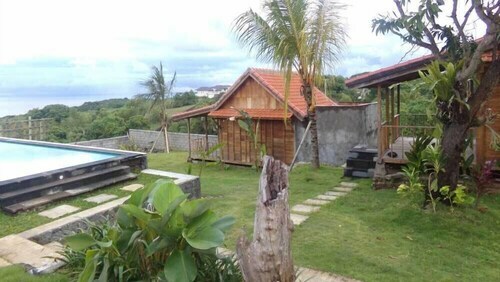 If there are no available rooms, the Villa Karang Putih is 0.3 kilometres away. 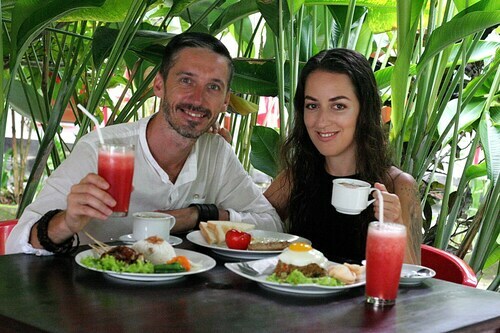 If you're exploring around Pandawa Beach and need a coffee, head to Goodway Sunrise Cafe - Pandawa Beach Bali. When dinnertime rolls around, check out the menu at Tahu Crispy Sumedang 165. Lastly, Pandawa Breeze is the spot to go for a glass of wine or a beer. You'll have a blast splashing in the surf, and walking along the shore at Green Bowl. Pura Masaka Temple is a must-visit for visitors wanting to learn about the heart of the local religion. Grab your towel, sunnies and thongs, and travel to Pantai Dreamland for an afternoon in the sun. Check out Udayana University, an interesting, modern educational institution that welcomes the public at certain times. Aim for an eagle and try not to get stuck in the water as you tee off at Bali National Golf Club. 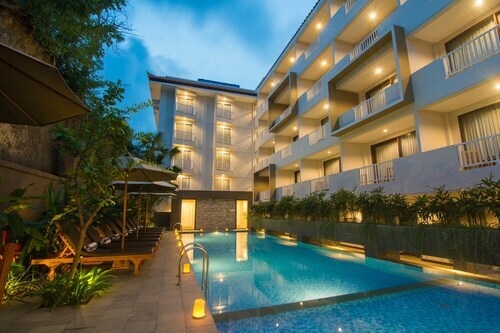 How Much is a Hotel Room in Pandawa Beach? 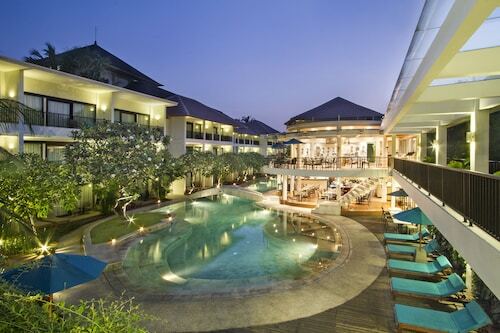 Hotels in Pandawa Beach start at AU$22 per night. Prices and availability subject to change. Additional terms may apply.